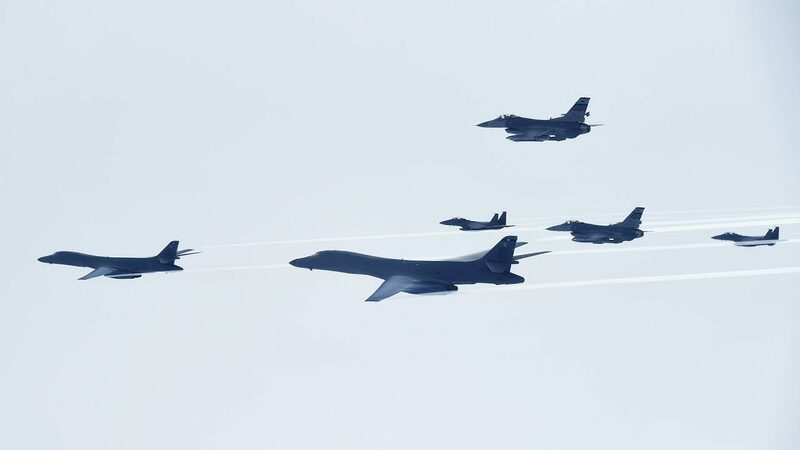 As part of the continuing demonstration of the ironclad U.S. commitment to our allies against the growing threat from North Korea’s ballistic missile and nuclear programs, two U.S. Air Force B-1B Lancer bombers from Andersen Air Force Base, Guam conducted a 10-hour sequenced bilateral mission with South Korean and Japanese fighter jets, July 7. 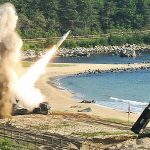 The mission is in response to a series of increasingly escalatory actions by North Korea, including a launch of an intercontinental ballistic missile (ICBM) on July 3. 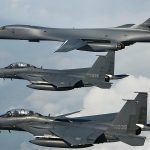 The B-1Bs flew to the Korean Peninsula where they were joined by South Korean F-15 fighter jets and U.S. Air Force F-16 fighter jets. 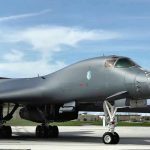 The B-1Bs practiced attack capabilities by releasing inert weapons at the Pilsung Range. 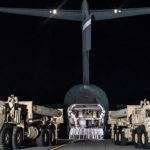 “This mission clearly demonstrates the U.S.-ROK alliance remains prepared to use the full range of capabilities to defend and to preserve the security of the Korean Peninsula and region,” said Lt. Gen. Thomas Bergeson, U.S. Forces Korea deputy commander. 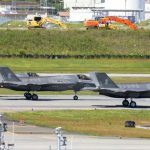 En route back to Guam, the B-1Bs flew and integrated with Koku Jieitai (Japan Air Self-Defense Force) F-2 fighter jets over the East China Sea. U.S. Pacific Command maintains flexible bomber and jet fighter capabilities in the Indo-Asia-Pacific theater, retaining the ability to quickly respond to any regional threat in order to defend the U.S. homeland and in support of our allies. 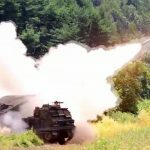 Posted On July 8, 2017 in Air Force, Military with 0 Comments.Tagged: armed forces, fighter jets, Korea, Military, military exercise, military training, North Korea, US Air Force, US Military.